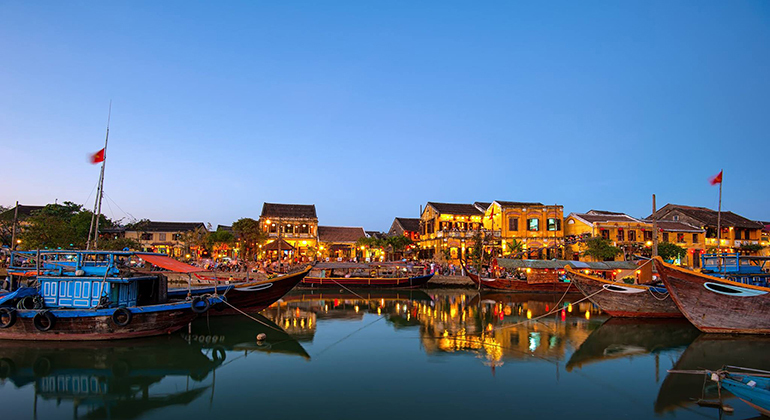 Hoi An is a exceptionally well-preserved Southeast Asian trading port during the 14th to 15 century and it is a UNESCO recognized World Heritage Site. The small town has been one of the most visited place in the country due to its long history, unique architecture of houses and shops, delectable perfect combination of Chinese-Japanese-Vietnamese cuisines and its colorful paper lanterns that light up the whole town every evening. For sure, you will never run out of ideas on what to do in Hoi An for 2 days. You can start where most local starts their day, at the Hoi An Central Market. This place is the busiest early in the morning, both locals and foreigners making their way to get what they need for the day. 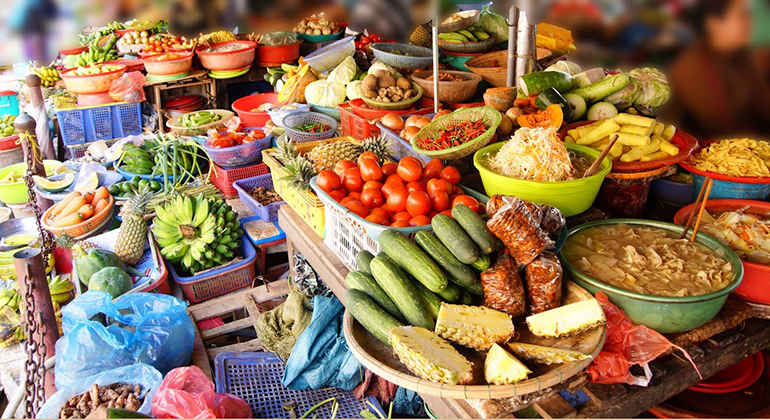 Getting fresh meat, vegetables and fruits to buying souvenirs or simply trying out some Hoi An cuisine, Hoi An Central Market got it all. You can even get a tailor-fit suit that would be ready in 24 hours. While in Hoi An, it would be nice to learn a thing or two. You may go to a cooking or lantern making class. A class would take 2-3 hours but definitely worth it. 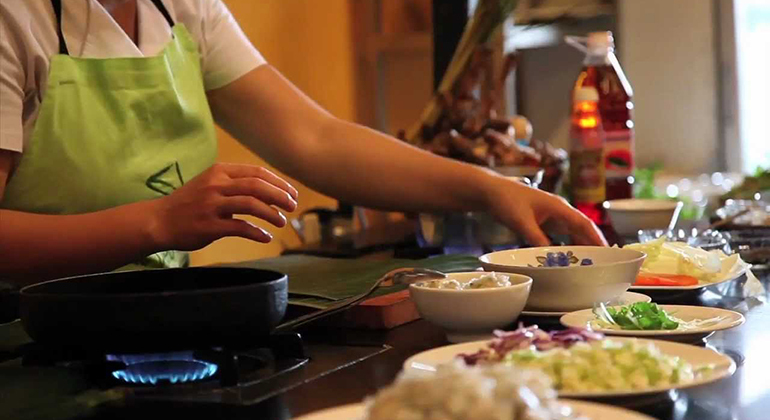 If you are a foodie, cooking class in Hoi An is a must. You can learn different dishes depending on your skills. Or if you are into art and craftsmanship, learning how to make traditional lanterns would be a delight. There’s nothing complicated with a help of an expert. 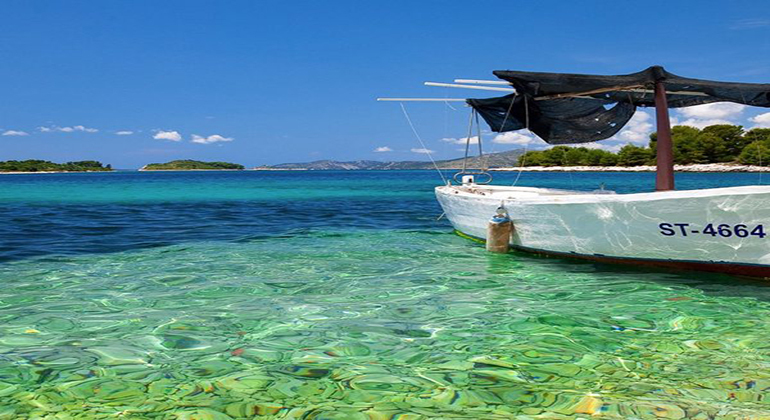 Hoi An is also blessed with beautiful and serene beaches like An Bang beach, Cua Dai beach and the world Biosphere Reserve recognized by UNESCO Cham Islands. A great way to spend your afternoon in Hoi An is to sunbathe while sipping cold and fresh coconut juice or beat the heat by snorkeling or diving in the protected marine park of Cham Islands. You may want to head back to the Hoi An Ancient Town before the sunset. Walk around the stone streets of the old town while checking some assembly halls, shops and restaurants and coffee shops. It might sound weird that it is better to get back to the town center than watch the sunset at beach, but trust me, it really is. The Hoi An Ancient Town proves to be more magical as soon as the sun sets, you will see the shops, houses and streets getting slowly lighten up with traditional lanterns. You’ll know what I mean when you see it. I suggest to sleep early on your first night in Hoi An so you can get ready to wake up early for My Son Sanctuary tour the next day. You may go to My Son Sanctuary anytime of the day but nothing beats the sunrise view of the sacred place of Champa since the 4th century and another UNESCO recognized World Heritage Site. There is also a special dance performance in the day time. Young to middle aged ladies reenact the cultural/sacred Cham dance that takes about 40-50 minutes. 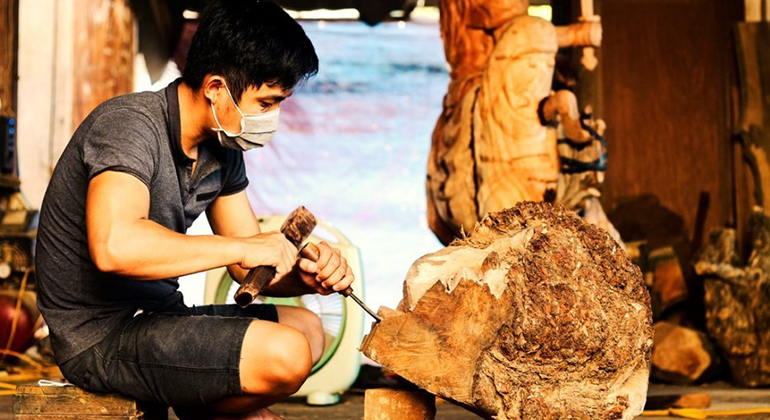 If you are up for another adventure, you can hop on a boat to visit the Kim Bong Carpentry Village on your way back to the Hoi An Ancient Town. This village is known all over the country for its great artisans and their fine works. The artisans worked on several important buildings in Ha Noi and even in the majestic citadel of Nguyen dynasty in Hue. Once you are done exploring Hoi An, best if you get a private car to Hue – Citadel of the Nguyen dynasty, last royals of Vietnam. It is not only that it is safe, convenient but also relatively cheaper because of the perks you’ll get in just one trip. 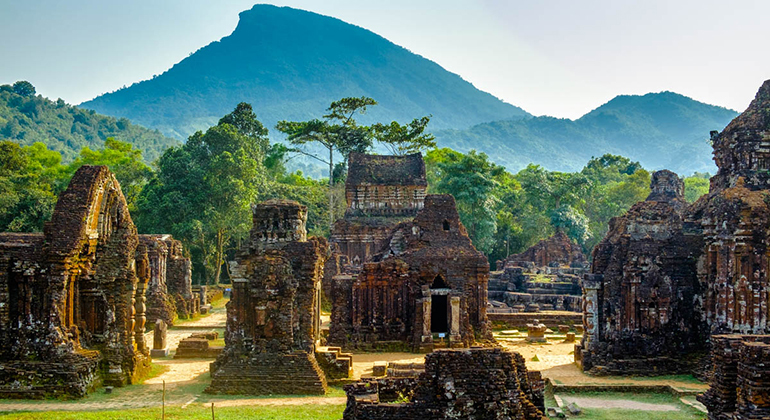 Hoi An to Hue private car allows you to stop at famous places on the way like the Marble Mountain, My Khe Beach, Hai Van Pass, Lang Co beach and Lap an Lagoon with no additional cost.